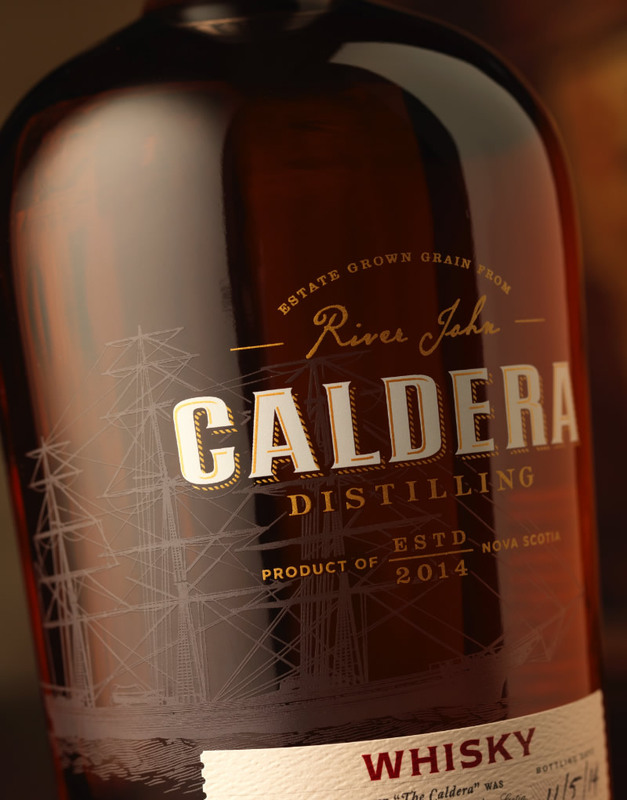 Founded in the village of River John, Caldera Distilling pays tribute to the heritage of craftsmen and explorers of all Nova Scotia. Set against the backdrop of the 170-acre farm, in a town with fewer than 5,000 people, the challenge of this project was to create a brand that was true to its unique, farm-to-table origin, yet could live up to its global aspirations. 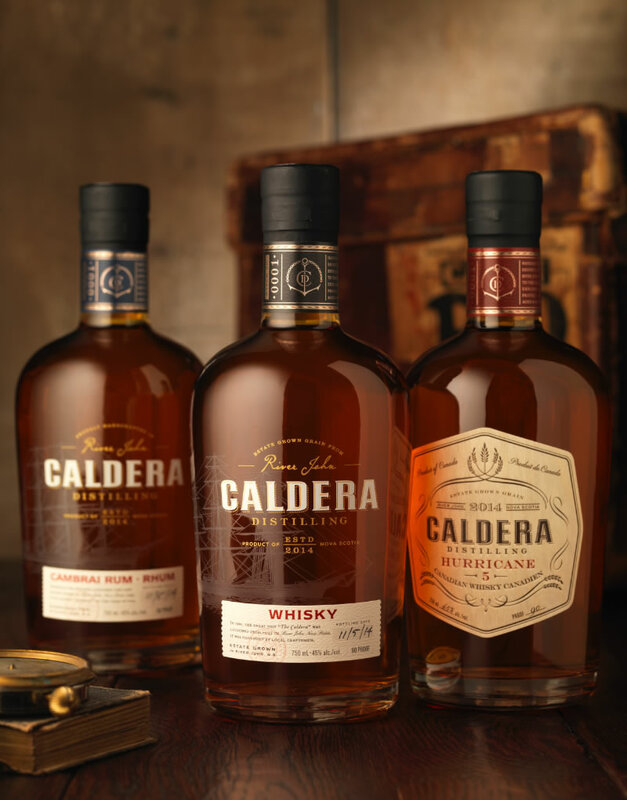 The name Caldera was inspired by the historical role the River John community played during the global trading boom of the 1800’s. 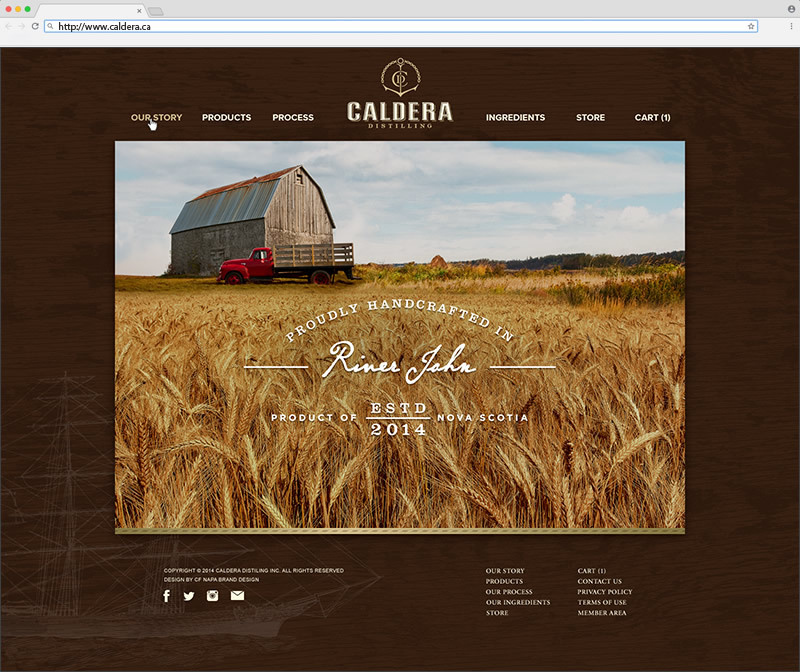 At its peak, River John was the largest shipbuilding community of its time, and the Caldera, one of the largest wooden ships built in Nova Scotia, represented the pinnacle of what was possible in a small town of highly skilled craftsmen. Working from the nautical theme of the name, CF Napa designed an anchor icon that dawns the neckband along with the small batch number. 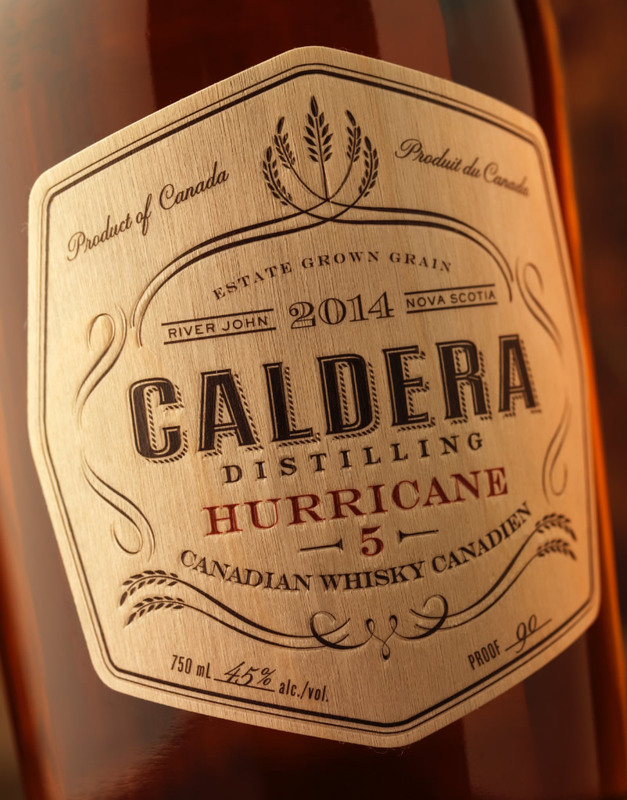 An illustration of the Caldera is screen printed on the glass, while the paper label notes the product SKU, a short story about the name, and provides a space for the “bottled date” to be hand written – providing a personal touch from the distiller himself. 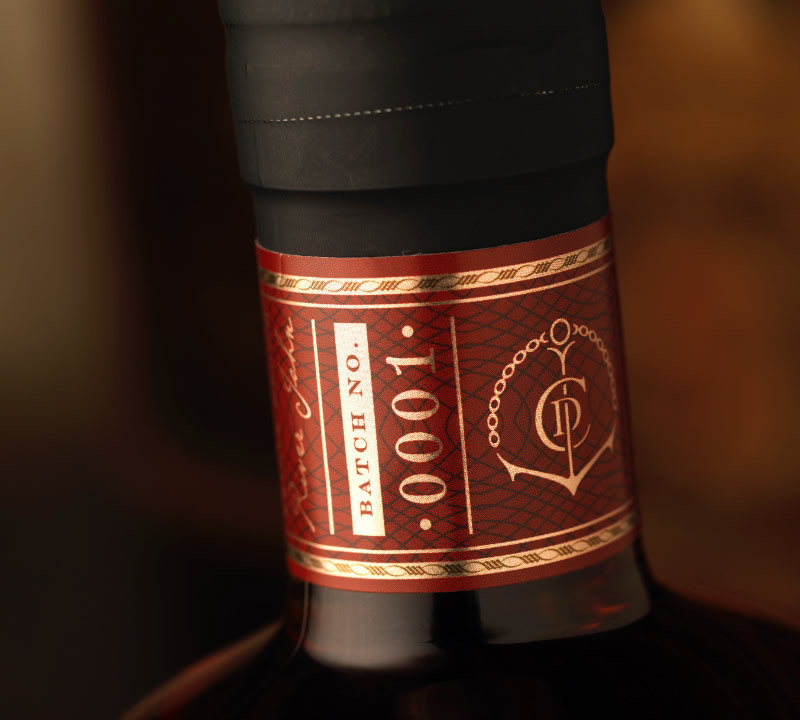 For the blended whisky design, CF Napa drew inspiration from one of the historical barns on the property. Found handwritten with pencil onto one of the old beams was the note “October 18, 1939 Storm” – a storm that was officially recorded in the history books as “Hurricane #5”. Although the storm leveled trees and buildings all over Newfoundland, it was no match for the sturdy barn that still stands today. 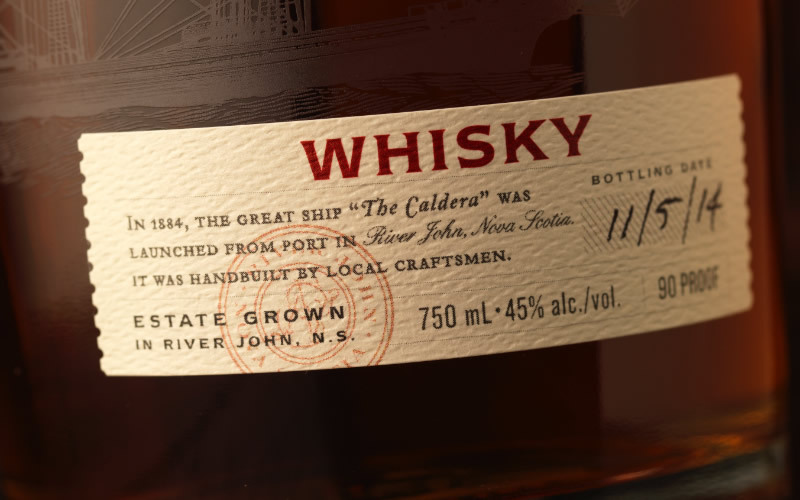 For this package design, CF Napa employed a wood label as a tie to the skilled craftsmen and shipbuilders of River John.